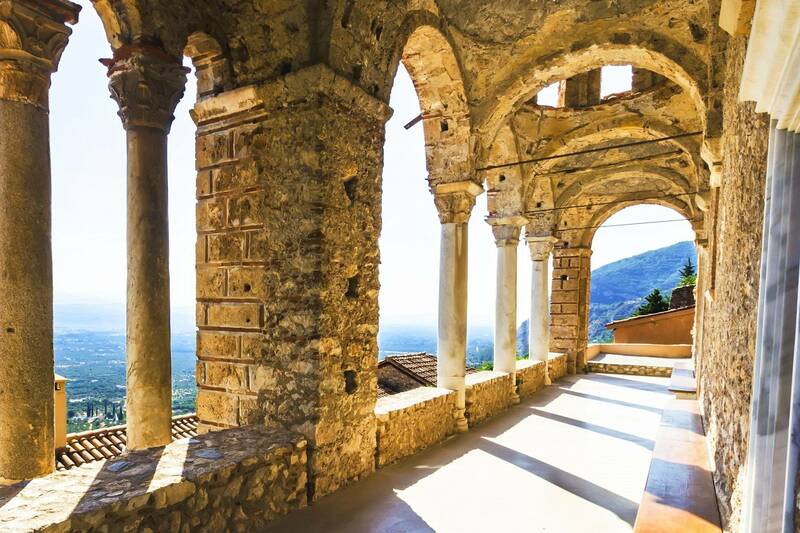 Visiting the enclosed Byzantine city of Mystras, in the city one can also visit the museum and the monestary. Always check before you visit for opening hours, since they constantly change without any warning to us. There are 2 museums in Sparta, the archealogical and the Olive museum both have special points of interest. From Castleview one can take a day trip to the port of Githion, continue on to Mani, were one can visit the famous Diros caves. Another point of interest is the city of Monemvassia . All are south of Castleview , ranging. in driving distances aprox. 1 to 2.5 hours. There is also the Byzantine city of Geraki southeast of Mystras, and of course many more sites to visit.